The survey has been live for six months and has been completed by almost 16,000 people. 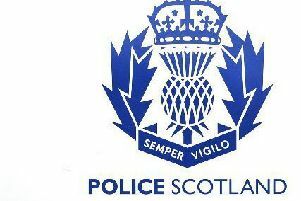 The results of the latest phase of the Your View Counts survey which helps determine the policing priorities of communities throughout Scotland have been published. It is just one of the ways in which Police Scotland works with the public, partners and stakeholders to determine the response to issues of concern to communities. Assistant Chief Constable Andy Cowie said: “The direct involvement of members of the public is vital in helping shape the service policing provides across the country. “Almost 16,000 people have so far completed the survey, which is available online 24-7 and only takes a few minutes to complete. It’s particularly pleasing that of those who have taken part to date, more than 2,200, from every part of Scotland, are between the ages of 16 and 24. “We recently launched a new approach to children and young people and part of that is about continuing to listen and engage. We already engage with young people through our very successful Police Scotland Young Volunteers programme which gives young people between 10 and 18 an insight into policing in Scotland and inspires them to participate positively in their communities. I hope that by having the survey online and promoted via social media, more and more young people in Scotland can have their say in how the police service addresses the issues which concern them most. "The response so far is encouraging. Direct feedback provides a valuable channel in assessing the aspirations of the communities we serve. The survey is one of the ways for our communities to give us their feedback on what matters most to them, and allows us to respond appropriately. "We have acted on the initial feedback from the first quarter's results, which were published in the summer, and made some improvements to the survey, to make it easier to understand. “The ongoing survey, which reports quarterly, replaces the annual survey and is hosted on the Police Scotland website: www.scotland.police.uk/yourviewcounts. We want to give our communities the opportunity to have their say at a time that is convenient to them, 24 hours a day. We would encourage those who have not yet done so, to take just 15 minutes of their time to tell us what is important to them about policing. "We recognise the importance of being accessible and the survey results adds to the information and views obtained by our staff in many community and partnership events or meetings. It greatly assists us in planning and delivering services for communities across the length and breadth of Scotland." The full survey results can be found here: www.scotland.police.uk/yourviewcounts..